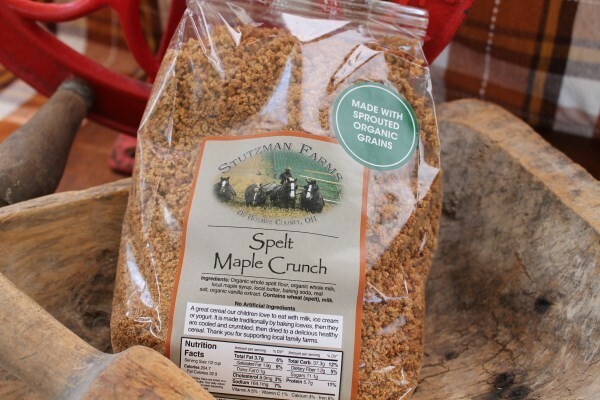 Amish Maple Grate Nuts-Sprouted Grains are Just like our Original Spelt Maple Crunch but made with sprouted spelt. Made with Amish raised certified organic grains grate nuts make a high fiber nourishing breakfast cereal. Maple Grate Nuts are made from whole organic sprouted spelt flour, whole milk, maple syrup, butter, baking soda original vanilla and real salt. See the label for nutritional elements. We sell maple sprouted spelt grate nuts here in 12 lb bags. Grain products ship directly off an Amish farm that does not provide electronic tracking numbers. Tracking numbers are manually available if needed. Please allow 7-10 days shipping. If you want to get outside the box (outside the expensive store cereal box routine) try our Amish homemade spelt grate nuts for a healthy great breakfast alternative. Store boxed cereals have become very expensive compared to the amount you get. Plus the health benefits of eating cereal becomes questionable as store purchase cereals are typically full of sugar, high in sodium and chemical preservatives. If you like wheat products but have allergies that prevent you or a family member from eating them; organic Spelt may be a good alternative. Spelt is among the original grains known to man. Spelt contains more protein, fats, and crude fiber than wheat. 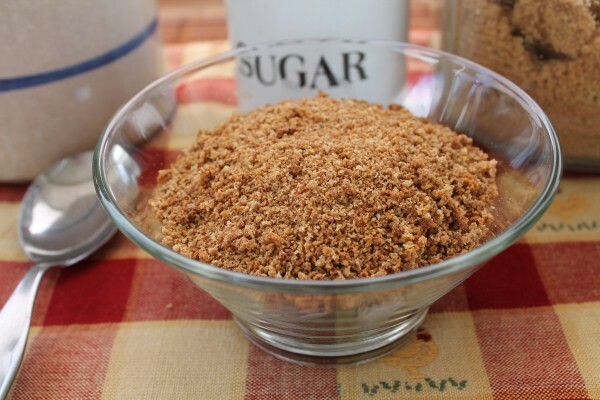 It can be substituted in almost all recipes calling for wheat. Spelt offers high water solubility, making it easier to digest. Most people with wheat allergies can tolerate spelt. Spelt offers an excellent source of Vitamin B2, Manganese, Niacin, Thiamine, and copper. Products made with sprouted grains provide a higher level of health benefits from the sprouted version, such as richer food enzymes, natural vitamins and provides better absorption. People with a lower Glycemic index with blood sugar issues may benefit from the sprouted version. For more information Just Google “Spelt”. We sell maple sprouted spelt grate nuts here in 12lb bags. Cottage Craft Works is proud to provide such a high-quality supply of bulk organic foods. These foods are processed on an Amish family run farm that has been growing all organic for over six decades. If you're looking for a high quality certified organically grown grains to mill yourself or to purchase milled flours then you have found the place to purchase them in bulk. Stutzman Family Farms has grown organic grains in the Ohio rolling hills of Holmes County for over 60 years. Long before organic certification ever existed the Stutzman family has practiced organic soil management to obtain rich fertile soil and high-quality grains throughout their Amish heritage. Stutzman Farms is organically certified through the Ohio Ecological Food & Farm Association (OEFFA). The Stutzman family processes a variety of natural organic grains. Food processing from the organic grains is completed on the Stutzman Farms. These facilities are routinely inspected by the Ohio Department of Agriculture. All grains and grain products processed on the Stutzman Farms are organically grown. Stutzman Farms specializes in growing and harvesting Spelt, Wheat, Oats, Rye, and Corn on Ohio Amish Farms using the old time planting and harvesting methods. Grains such as Amaranth, Barley, Long Grain Brown Rice, Buckwheat, and Golden Flax Seed may not adapt well to the Ohio climate. In this case, these grains may be grown in limited supply or supplemented by other organic growers from across the United States. 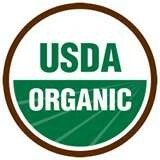 These organic growers may consist of other Amish organic farmers as well as Non-Amish traditional organic farmers. Grains are stored and processed right on the farm. Each order is hand filled right from the farm storage facilities. Despite their Amish back-to-basics heritage, the Stutzman family keeps up with the modern needs of health consciences eaters. They now offer sprouted grain products and keep improving their processing and machinery to provide the highest quality products available in any health food store. Orders are still processed the old fashion way and shipped directly from the Amish farm in Ohio. Please allow a few extra days for your order to arrive. Because the Amish farm is not computerized we do not have electronic tracking to automatically update your order status from processing to ship. Orders are shipped using the old style UPS book. Manual tracking numbers are kept at the farm should we ever need to trace a package. Our Amish grain products are very popular with many repeat customers. While eating whole grains and grain products are generally recommended by healthcare professionals for all the known health and nutrition benefits, some people may develop adverse reactions leading to serious and life-threatening allergic reactions or complications within the digestive system or bowel tract. People who are new to whole grains or a specific new grain product should complete their own research to learn more on how it is digested, the health benefits and risk in order to make an informed purchasing decision. Even then new grains and products should be used in small amounts until the person can see how they will tolerate the product. People with an already known digestive tract and bowel complications should consult a physician before embarking on a new whole grain enriched diet. Some of the products made from whole grains are water-insoluble and may bulk up and block an already partially obstructed bowel.